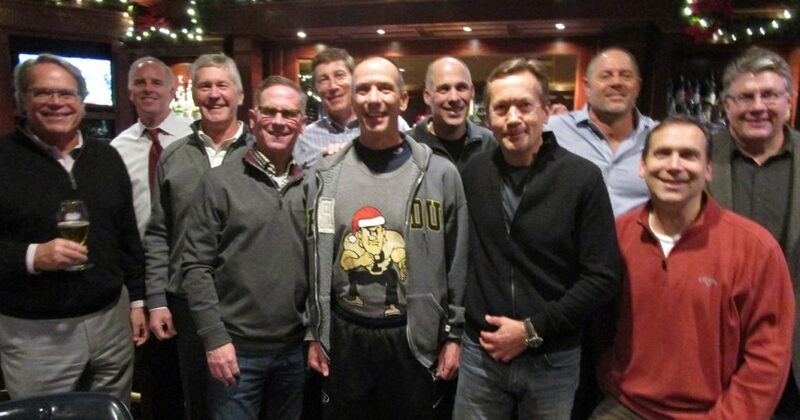 Sigs enjoying a little holiday cheer (L-R) Doug Hull, John Crawford, Lee Sterry, Tom Shurig, Tom Hall, Mark Campbell, Bill Trachtman, Corby Thompson, Brian Nikirk, Bob Burlas and Chris Coffey. A great contingent of Indianapolis area brothers gathered for Delta Delta’s annual holiday gathering at Daddy Jack’s on December 18th. As usual the camaraderie was great and it was nice to see brothers of all generations in attendance. Some of the more special guests were our senior brothers who decided to attend who had not been to this event before. 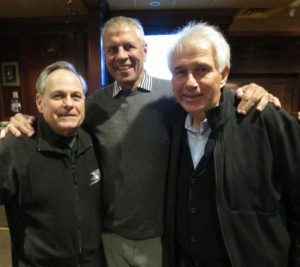 Larry Nicolet ‘71, David Craig ‘69 and Tom Wheeler ‘64, met and recounted a few stories of days gone past. They were also able to catch up on what each of them had been up to more recently. The classes of the 1980’s are always well represented and there was a nice contingent from the late ‘70’s. There were even a few from the ‘90’s. Over the course of the evening over 25 Delta Delta brothers stopped in for a holiday beverage and to wish everyone a Merry Christmas. 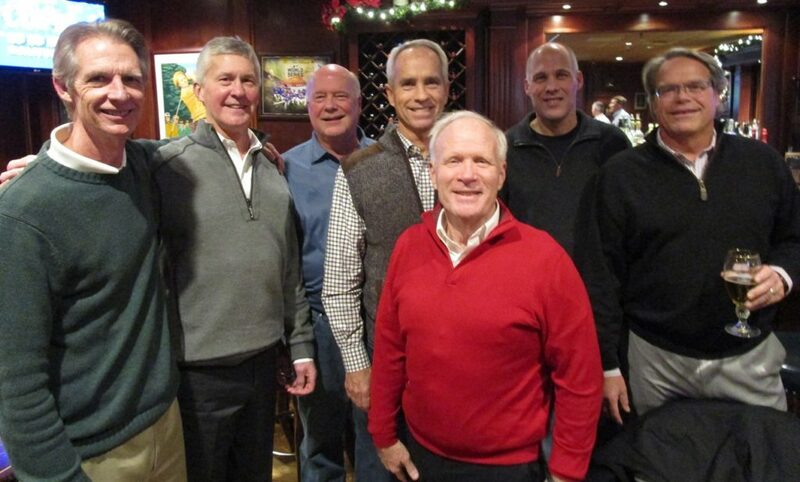 Brothers hanging out (L-R) Phil Steele, Lee Sterry, Brian Boje, Steve Cosler, Don Palmer, Bill Trachtman and Doug Hull. Special thanks to Tom Hall ’81 for making the arrangements and to all the brothers who stopped in. We really hope to have an even bigger crowd next year including brothers from the classes of 2000 and up. There is nothing better than sharing a little holiday cheer with your Delta Delta brothers of all generations.